When my boys want pizza...as in, Right. Now.....I grab tortillas and get started. The hardest part of making these kid pleasing pizza, is waiting for the oven to preheat! In as little as 8 minutes, you can have a great thin pizza.....made to order and certain to please. I'm sick. My twins are sick. The house is a mess. We are tired. We are fussy. We are hungry and it's time to cook, as fast as I can so we can all crawl back into bed, eat and watch tv. My go to is usually Chicken and Noodle Soup. It is delicious and cooks in 15 minutes...could you possibly ask for a more simple, quick and delicious meal? It's hard to believe a dish so simple, that tastes so amazing.....cooks in just 15 minutes! 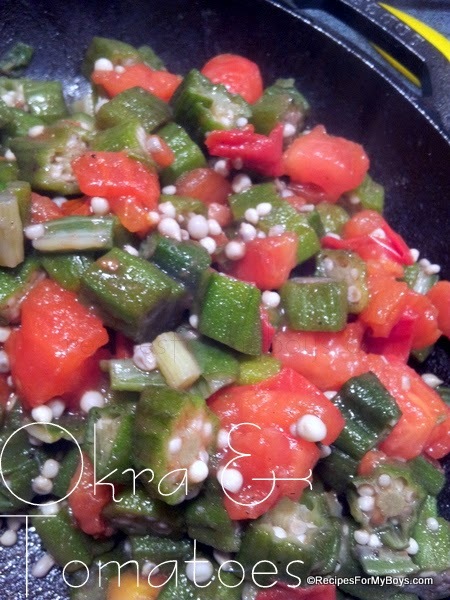 With only two main ingredients, Okra and Tomatoes, you cannot go wrong.